The National Institutes of Health (NIH) is the primary agency of the United States government responsible for biomedical and public health research. Surprisingly, for the past half-century, the NIH has paid Israeli researchers millions of dollars to study the effects of the medical cannabis. What has been the return on investment for that long-standing partnership? The American people have the right to know, right? When there is 2.3 million patients in the US relying on the plant as their medicine (legally), we need the best evidence there is to warn about dangers, but also teach about the benefits! Just recently I witnessed a child with an active seizure receive an intranasal spray that was cannabis based. The seizure stopped within seconds. Medical cannabis is not a joke. There have been tremendous gains in understanding the medicinal properties of this plant in all of its divine molecular artistry. As of this year, several pharmaceutical “cannabis-like” synthetic drugs—all in the name of patents—have been approved with more than a half dozen to follow. And yet, the actual plant remains highly illegal from a federal vista. 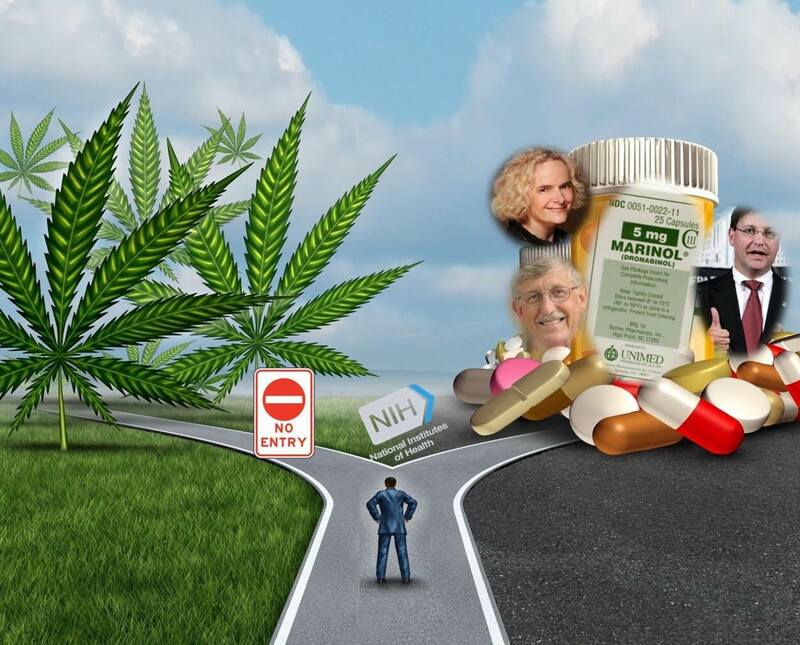 We are paying another country to do cannabis research, so pharmaceutical companies can develop drugs that mimic cannaboids that allegedly have the same or similar beneficial outcomes, yet bring more harmful side effects. There is nothing wrong in providing a product to consumers. It is criminal, however, when the government lets big pharma cash in on cannabis-like drugs and at the same time keeps hundreds of thousands of our citizens locked up in jail for just possessing the plant (which made the drug for pharma in the first place).